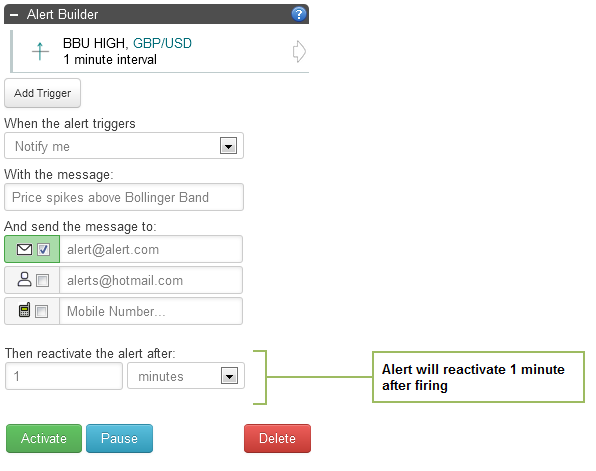 you can select for the alert to be automatically reactivated, in which case once the alert is triggered timetotrade will again restart its calculations and checking for the next time your alert conditions are met. 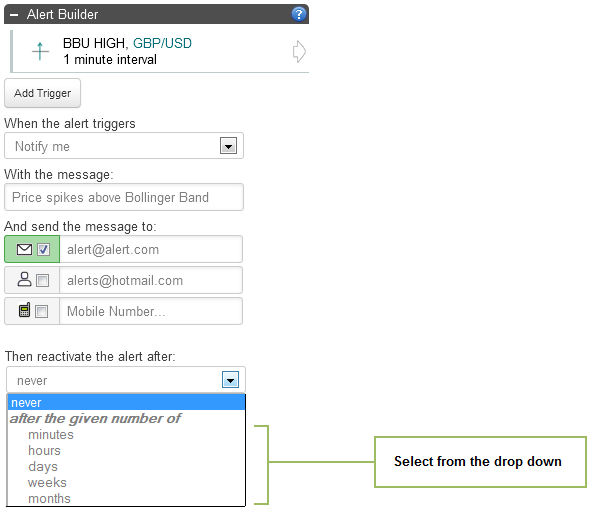 You specify your preference when you are creating your alert, using the "Alert Reactivation" menu of the Alert Builder widget on the CHARTS page. The system default setting is to send the alert just once. 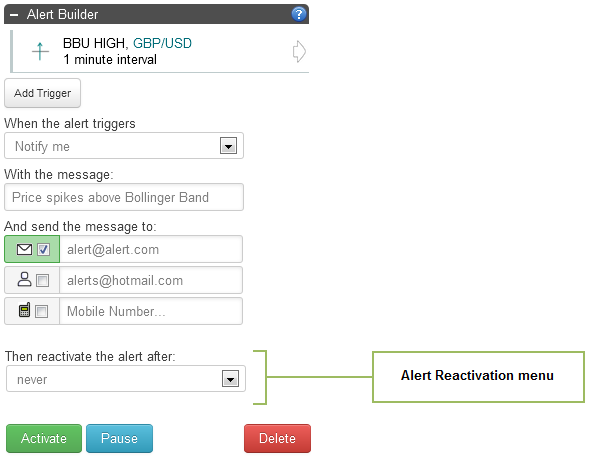 To create an alert that will re-occur each time your investment conditions are met, select the "Reactivate the alert after" time period from the "Alert Reactivation" drop down menu. When you receive an alert, the alert will then be paused for the period of time that you define from drop down menu before it is re-activated. 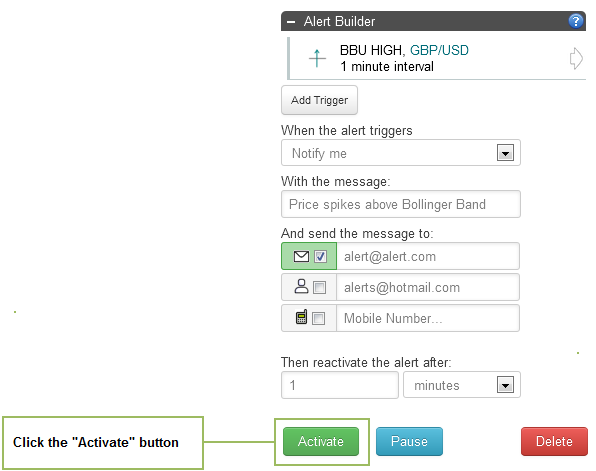 In this example we select the minute reactivation period, and specify for timetotrade to re-start checking for a recurrence of the alert conditions 1 minute after the alert has triggered.